Reflect Digital’s partnership with Blackwater Law has helped grow their online presence exponentially both locally and nationally through Search Engine Optimisation, in the medical negligence and personal injury sector. The campaign was so successful it was nominated for the Best Local SEO Campaign at the UK Search Awards and won Best Professional Services SEO campaign at the Drum Search Awards. Reflect Digital had already refreshed the design of Blackwater Law's Wordpress website at the beginning of the relationship. 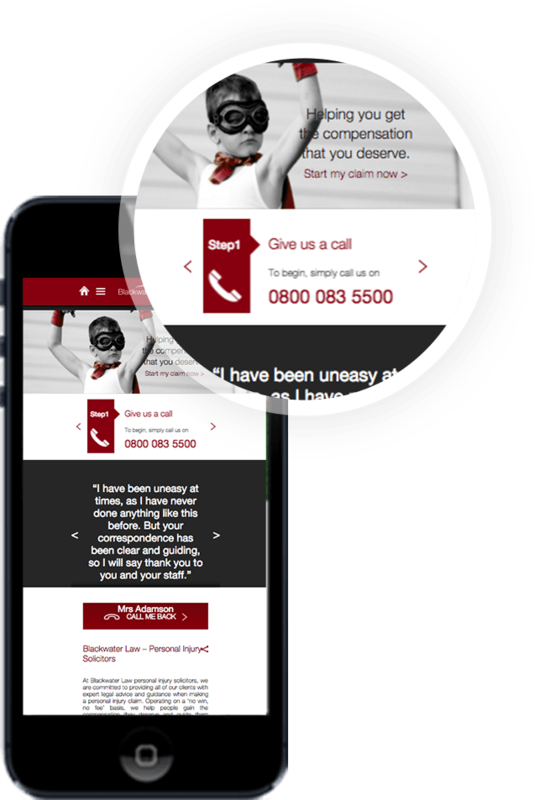 Blackwater Law’s main objective was to increase the amount of compensation claim leads generated through the website by establishing themselves as experts in the personal injury/ medical negligence field and increasing their search engine visibility. Due to the complex claim process it is not possible to identify an actual ROI figure as the results of a successful case can take 3+ years. For these reasons, the success of the campaign was going to be based on improvements in rankings, traffic and instructed cases. Through delivery of authoritative and informative content; and by improving their website rankings for relevant search terms we were able to make this a reality whilst delivering strong success metrics. As the medical negligence and personal injury market is such a competitive area and marketing budgets were limited, it was important that the campaign was effective across both local and national search. After carrying out an in-depth technical audit and establishing rock-solid foundations through on-site SEO and page speed optimisation, the next steps were to dominate local search and to increase the authority of the site by developing engaging and informative content; analysing and improving the user experience and earning backlinks from high-quality, relevant websites. Website rankings improved dramatically with a 547% increase in first position rankings. Organic search visits increased YoY by 1008% and they saw a 229% rise in cases instructed with a 70% reduction in CPA. As a results-driven SEO agency, our ultimate goal is always to deliver a tangible, cost-effective ROI for our clients, and our digital marketing service is the epitome of this approach. Generating traffic to a website is relatively easy; establishing a site as an authoritative source of valuable information that generates quality leads and has a measurable, positive impact on the client’s business is not. Thankfully, our award-winning SEO engineers have the knowledge and expertise to deliver results – whatever industry you’re in. 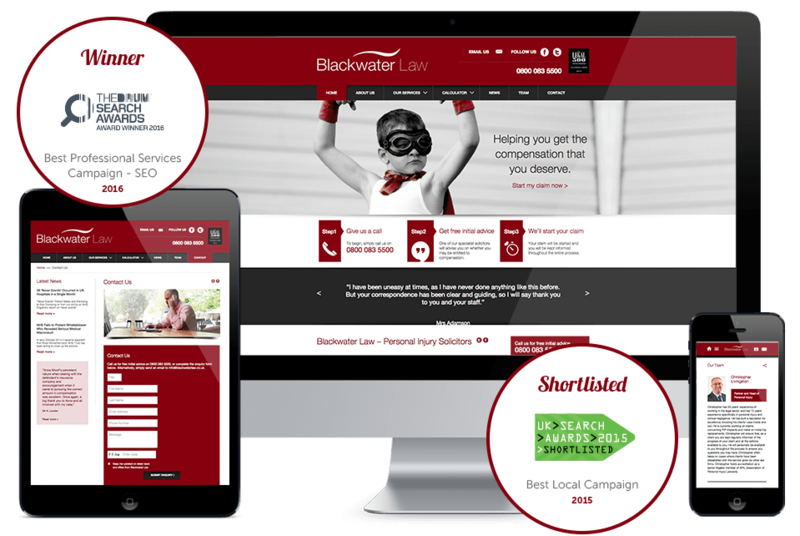 Reflect Digital have played a crucial role in Blackwater Law’s digital strategy, delivering incredible SEO results in a highly competitive market in a short time span. Working with Reflect Digital has enabled us to dramatically increase our online reach which, as well as driving an increase in leads generated directly and purely from the website, has also supported offline promotion by increasing our brand’s visibility for key search phrases researched by consumers following exposure to offline promotion. Whilst it is too early to put profit figures against the work Reflect Digital has done for us, due to complex cases taking a considerable length of time to settle, their actions have helped us reduce the average cost of acquisition considerably and have positioned us alongside much larger competitors. 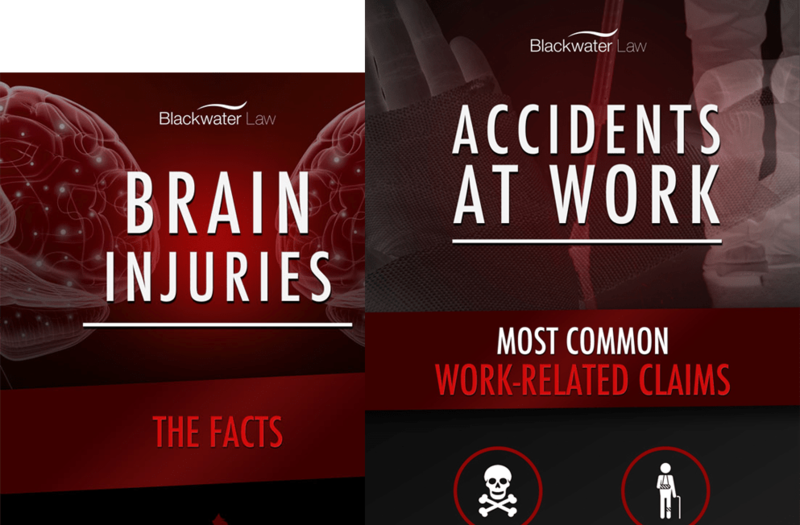 Creative content marketing is key to the success of any SEO campaign, in addition to the website design, we have completed various assets for Blackwater Law including a range of useful and informative infographics that have helped earn backlinks and drive further traffic to their website.